Hungerford, Berkshire, UK: 2 August, 2012 – With the recent announcement from Savant Systems LLC of its TrueControl for Mac® app, a software application that enables users to access the control functionality of Savant's SmartSystems™ Apple®-based home automation and commercial control solutions from the desktop of any Mac OS® X computer, RGB Communications' Savant accredited channel partners can now offer extended control solutions delivering unprecedented levels of efficiency and simplicity. "TrueControl for Mac, which matches the look and feel of Savant's award winning iOS apps already available for the iPad®, iPhone® and iPod touch®, once again demonstrates how successfully Savant has brought the familiarity and intuitive nature of the Apple user interface to both home automation and commercial control" explained Gordon Innocent, Chairman of RGB, one of the top UK technical AV distributors and Savant's exclusive distributor for the UK and Ireland. TrueControl for Mac enables users to easily access and control lighting, temperature, music, movies, security and more from a wide range of Apple® devices which now includes the MacBook®, MacBook Air®, MacBook Pro®, and iMac® in a Savant-enabled home or commercial facility. By converting existing Mac computers into additional interfaces, the TrueControl for Mac app is an elegant, affordable and convenient way to access and manage a Savant system using a local area network at home or on the road. As with all of Savant's iOS device apps, connectivity and response time is optimised between the TrueControl app for Mac and the native OS® X processing that is at the heart of every Savant control system. 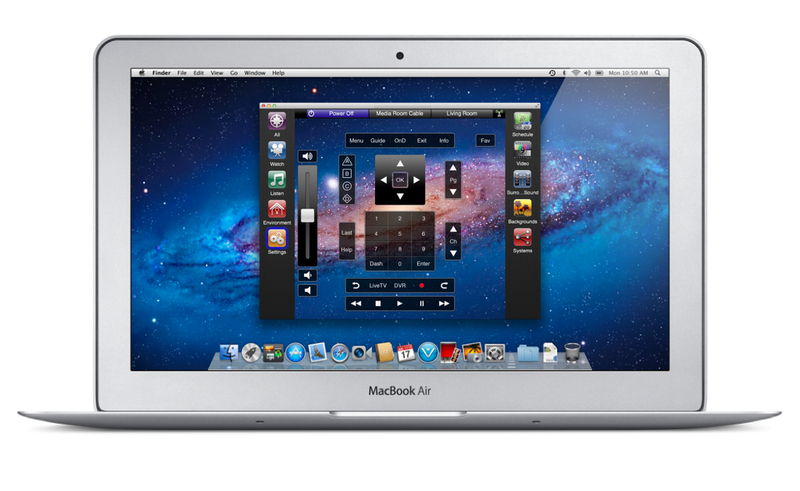 The introduction of TrueControl for Mac continues to validate RGB's decision to become a Savant distributor. That decision was driven by Savant's ability to deliver the first real alternative to the more established control suppliers and the obvious connection with Apple. Crucially important to RGB is that Savant's systems allows it to provide its channel partners with a solution based on a robust, reliable and well accepted platform, which is easier to programme than other solutions in the marketplace and which allows their customers to make use of what they already have on their desk at home or at the office, or in their bag or pocket i.e. any Mac computer or any Apple mobile device. The main features of Savant's TrueControl app for Mac includes: two-way control of lights, climate, audio, video and more from the Mac desktop; the extension of total home and commercial control to the office without the need for an additional Savant interface; delivery of the same automation and control capabilities that exist on other Savant interfaces; the ability to use existing Mac computers in the classroom or conference room to control the projector, audio, lights and more and configuration using RacePoint Blueprint™. "Our Savant accredited channel partners are able to offer a very attractive home automation and commercial control proposition to their prospective customers, a proposition which gives them considerable competitive edge, a key factor in today's challenging business environment," added Innocent. For further information on Savant's solutions please call Rob Rodgers at RGB on +44 (0) 1488 73366. Savant Systems, LLC, an innovator in the home and commercial automation markets, designs, develops and manufactures a complete suite of integrated solutions that has defined the modern age of control technology. Savant’s progressive platform cohesively addresses control, automation, audio/video, telephony, digital display, lighting control, energy management and the media integration needs of today’s most advanced environments. Through their tightly integrated use of Apple® technology, Savant has leveraged the familiarity and intuitive nature of the iPad® and iOS family of devices to address the user interface demands of today’s discerning consumers. Savant SmartSystems are sold globally through a network of authorized dealers within residential properties and into a number of different commercial markets including: Corporate Enterprise, Education, Retail, Arenas & Events, Multi-Dwelling Units & Hotels, Government, Healthcare, Luxury Transportation & Marine, Houses of Worship and Broadcast. Founded 20 years ago, RGB Communications is one of the top UK technical AV distributors. In partnership with its manufacturers and channel partners it specialises in providing not only leading edge technology solutions, but also technical expertise and support, to its AV resellers and custom installers. In order to help its channel partners grow their business, RGB offers them a range of training programmes and access to its demonstration suites. RGB's solution portfolio includes worldwide brands with product ranges covering all areas of AV solutions including projection and displays, connectivity, control, racks and mounts and audio and video. This press release was distributed by ResponseSource Press Release Wire on behalf of RGB Communications in the following categories: Consumer Technology, Business & Finance, Computing & Telecoms, for more information visit https://pressreleasewire.responsesource.com/about. RGB is an audio-visual distribution partner specialising in providing quality technical products and expertise to AV resellers and custom installers.